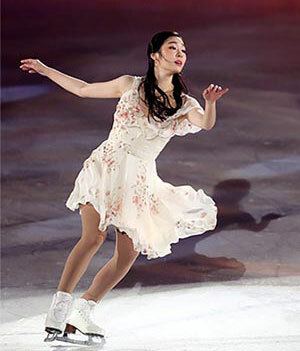 Figure skating star Kim Yu-na will hold an ice show in Seoul in June. Kim's management agency said Wednesday, "Renowned choreographers David Wilson and Sandra Bezic will team up for this year's 'All That Skate' ice show." Wilson has choreographed the openings and finales of the annual ice show since 2010. The show will be held at the Olympic Park in Seoul from June 6 to 8.